A DAC or digital-to-analog converter in electronics is one kind of system, used to change a digital signal to an analog signal. Similarly, an ADC or analog to digital converter performs the opposite function.DAC architectures are classified into different types based on the merits such as resolution, maximum sampling frequency, and many more. 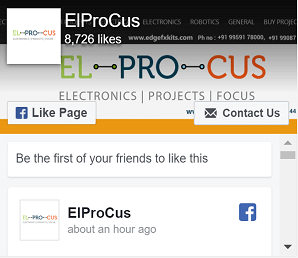 The applications of DACs include music players, televisions, mobiles, etc. These applications utilize DAC at reverse ends of the resolution or frequency transaction. The audio DAC is a high-resolution with low-frequency type, whereas the video DAC is a low to medium resolution with high-frequency type. 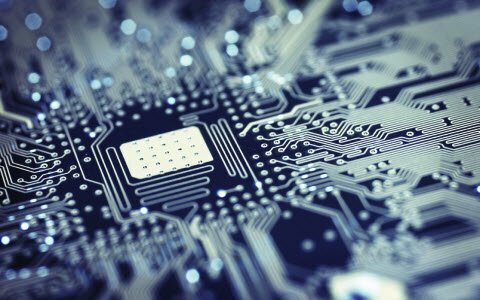 Due to the difficulty as well as the requirement of exactly matched components, the most specific DACs are executed like integrated circuits (ICs). But, discrete DACs are the very high speed with low-resolution types, used in radar systems in military test equipment, particularly sampling oscilloscopes, etc. this article discusses an overview of IC DAC0808. The IC DAC0808 is a digital to analog converter, used to convert a digital data input to analog signal output, where the input is an 8-bit data. This IC is a monolithic integrated circuit, the accuracy of this IC in conversion is good as well as power utilization is also less for making it prominent. The power supply of this IC is independent of bit codes, & shows fundamentally stable device characteristics over the range of owl supply voltage. The IC DAC0808 includes 16-pins and each pin description is discussed below. The parameters of IC DAC0808 include the following. The features of IC DAC0808 include the following. 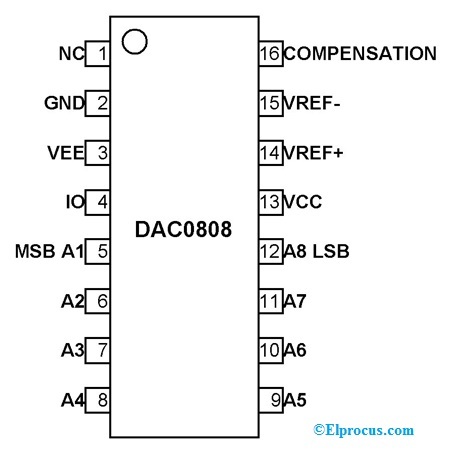 The circuit diagram of the IC DAC0808 is shown below. The IC DAC0808 can work with two voltage sources like 5V as well as -15V which is shown in the following circuit. This is the main disadvantage which is removed in current digital to analog conversion for making them work from an only power source. Here, the inputs which we have given to the IC are eight from most significant bit to least significant bit. This is also the main disadvantage as we have to waste eight input/output pins this is also removed in recent DAC’s. The power source +10V can be connected like reference voltage used for the device as well as the negative (-ve) reference voltage is grounded. The IC gets the parallel 8-bit information from a microcontroller and changes into an analog signal as an output. 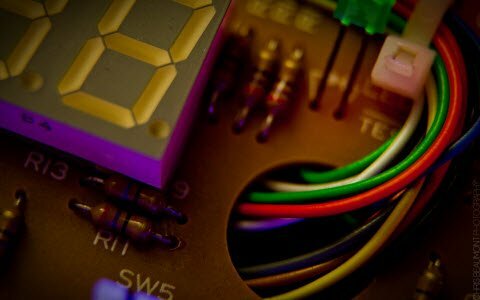 The output from the digital to analog or DAC can be an existing quantity as well as this required to be changed into a voltage parameter for applying in several applications very simply. So for changing the present parameter to voltage parameter, an LF351 operational amplifier is utilized in the circuit below. Basically, LF351 is one kind of JFET op-amp. This is an inexpensive device with the characteristics like high performance, provides high slew rate, & high-gain bandwidth even operating with a low supply. 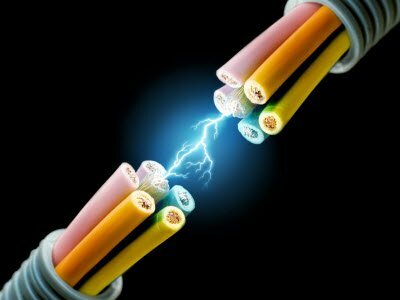 In addition, it includes some features like low current supply, inner compensated i/p off-set voltage. i/p impedance, is high, settling time is fast, harmonic distortion is low. The main application of this IC is while converting digital to analog converters, S&H circuits, high-speed integrators, etc. This circuit is known as current to voltage converter. 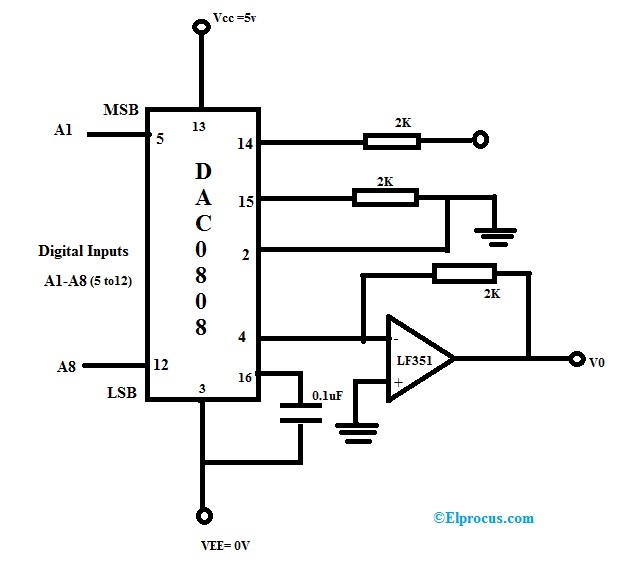 The output from the operational amplifier which is called as an analog voltage is in linear relation among the value of the input digital & therefore the conversion of digital to analog using IC DAC0808 can be attained. The applications of IC DAC0808 include the following. 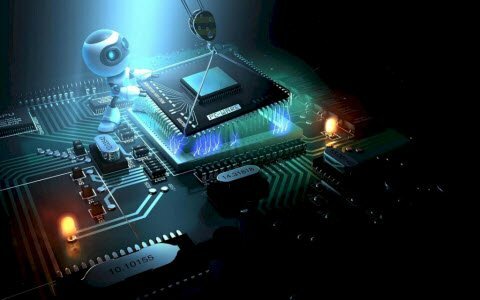 Thus, this is all about IC DAC0808 which includes pin configuration, features, parameters, the circuit with working and applications. 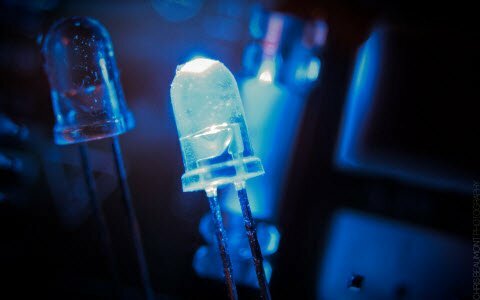 From the above information, finally, we can conclude that this IC will interface straight with popular DTL, TTL otherwise CMOS logic levels, and it can be used in higher speed applications. Here is a question for you, what are the advantages of IC DAC0808?